Welcome - Would You Like to Change Your Life? Within this website you can explore a range of different products and services to help you to welcome changes into your life: Holistic treatments and products for your face and body; colour therapy to explore who you are, Access Consciousness for a gentle way to make changes, all sprinkled with a little reiki energy too. If you find that your life has changed, and you are confused and anxious as to what to do next, would you be interested in a way to find more clarity? Would you like to see an end to the disappointments that you feel when things just don't turn out as you imagined? Or would you like to simply increase your chances of getting exactly what it is that you do want? Most difficulties in business and relationships of all kinds arise because you have no idea what you really want. You are searching for answers, when the thing that will give you everything that you desire is the question. These life-changing techniques and processes have been designed to empower you to create the life that you are seeking. They are practical and pragmatic to facilitate you in being more conscious in your everyday life and to bring down the barriers that you have subconsciously put up to receiving. So stop stressing about the answers when you don't even know what the questions are. 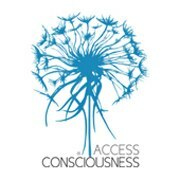 Access Consciousness can help you find your questions. All you need to do during an Access Bars session is recline on my therapy couch whilst I give you a very light head massage. For a little more information, click here or on the image at the top of the page for a short video. Why not give me a call or send me a text to book your introductory session?